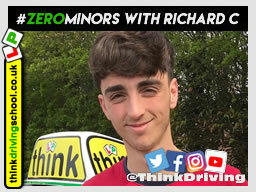 Welcome to the website of Think Driving School, we offer driving lessons lead by experienced, professional, DSA Checked and tested instructors. For more information on our Learning to Drive please browse our site or for more information and please dont hesitate to Contact Us if you have any questions. In addition to Driving Lessons for beginners we also provide full driving instructor training, B+E Training, Pass Plus, Motorway Driving Lessons, Driving Instructor Teaching Plans and Driver Confidence boost sessions. We cover a multitude of areas in Hampshire, Surrey, Berkshire and London including Bordon, Liphook, Grayshott, Petersfield, Haslemere, Liss, Headley, Headley Down, Alton, Farnham, Lindford, Hindhead, Normandy, Puttenham, Elstead, Milford, Thursley, Badshot Lea, Hale, Heath End, Bentley, Frensham, Churt, Crondall, Tongham, Ewshot, Seale, Tilford, Aldershot, Ash, Ash Green, Ash Vale, Fleet, Church Crookham, Crookham Village, Farnborough, Sandhurst, Crowthorne, Yateley, Bracknell, Bagshot, Camberley, Wokingham, Cove, Guildford, Godalming, Woking, Stoughton, Worpelston, Brupham, Merrow, Jacobs Well, Frimley, Ascot, Sunningdale, Eastcote, Pinner, Ruislip, Harrow, Uxbridge and Northwood. If you live nearby one of these areas give us a call and we can arrange a lesson with your local instructor when it is convenient for you. 1 – Our instructors attend regular training session (CPD) to make sure they are the best instructors in the industry. 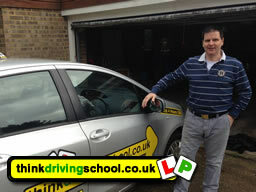 2 – Think Driving School has a pass rate of 67% that's 21% higher than the national average (click for details). 3 – 98% of our customers would recommend us to their friends. 4 – The first 4 hours are only £84 that gives you a chance to see how good we are and save money at the same time. 5 – After your first 4 hours its only £29 per hour or £269 for 10 hours (manual lessons only). In stationary traffic, apply parking brake. When following traffic stops, take foot off footbrake to minimise glare @thinkdriving rule #114.